There is no question that So-Ro will generate some serious cradle envy. Norwegian occupational therapist Ane Lillian Tveit designed the So-Ro cradle to rock forwards (as opposed to side-to-side or lateral, like most cradles). This is because the brain registers a rhythmic forward movement as soothing, much like sitting on a swing, and so Tveit considered the most comfortable motion for babies to be forward and backward. It makes sense given that when you rock a baby in your arms, it is forward rather than lateral. Those good reasons for the So-Ro aside, I just love the simple, modern design. Available in three finishes – birch, white and walnut – the cradle also has an impressive list of safety specifications. With all that, it is the twin cradle that is really set to thrill. 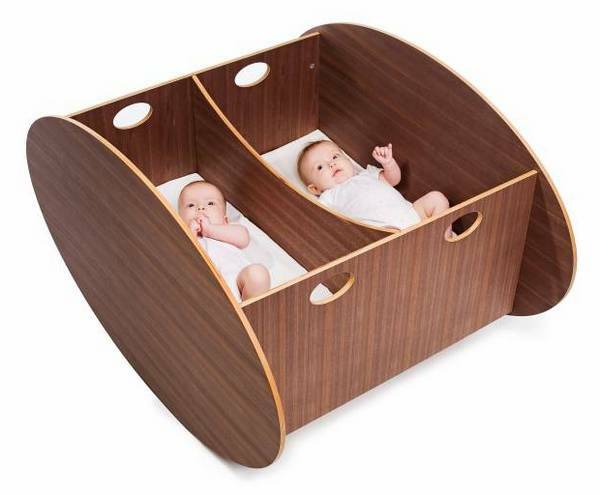 A removable divider between babies lets twins rock together or be separated if one is keeping the other awake! The single cradle costs 4000 kroner and the twin cradle is 6000 kroner – roughly equivalent to $700 and $1050 respectively. Contact So-Ro directly regarding shipping to Australia. 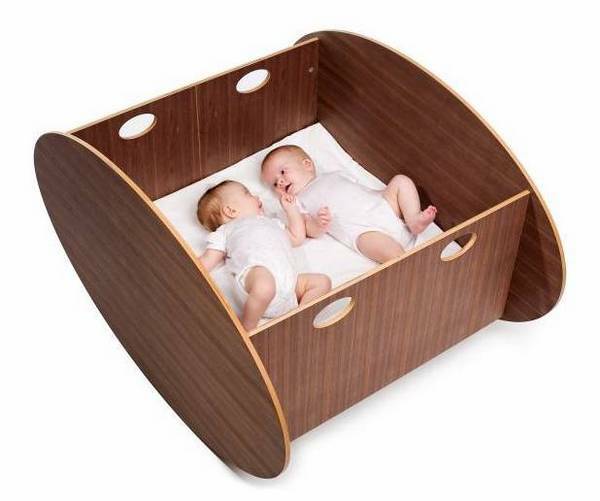 Check out our previous post on a twin cot here.